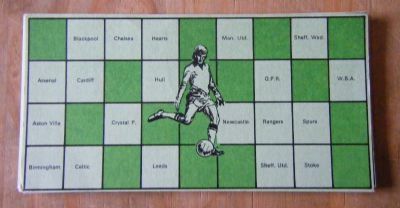 A simple adaptation of classic bingo for football fans, Comes in a double header box also containing a soccer dice game. Very simple idea - instead of numbers the game uses team names. Two games in one. 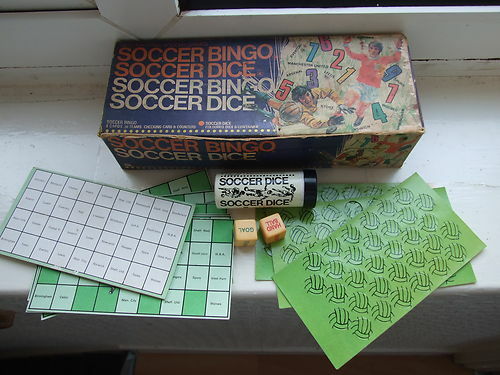 Soccer bingo and soccer dice. 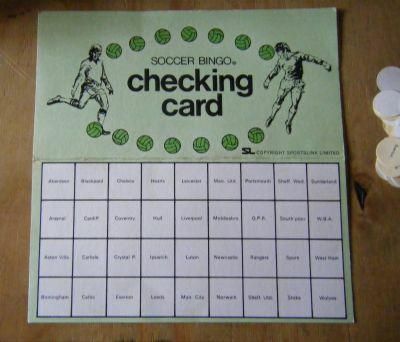 Cheap and cheerful pocket money game. Each player has a card with a series of team names on it. The first one to cover an agreed line, column or the corners wins. The bingo caller pulls out the name disks and records them on a master sheet. 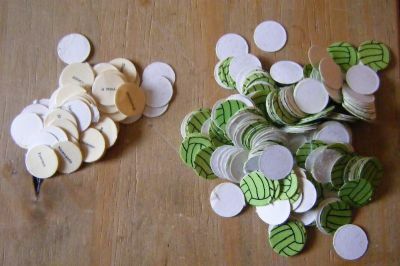 Players get ball discs to cover their team names and the caller uses the name discs.